Just one of the relentlessly cynical things Frank says in Destination Wedding, a quirky, funny movie starring Wynona Ryder (Lindsay) and Keanu Reeves (Frank). 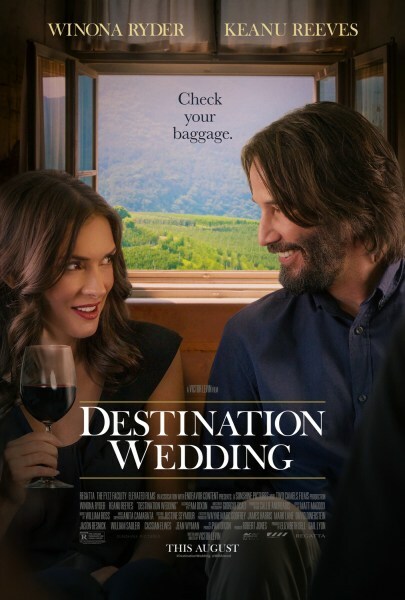 They play two sidelined misfits at a — yes — destination wedding who, despite themselves, ultimately create a connection. Or at least the beginnings of a connection.